Are you a sucker for flowers – the smell, the colours, the look? Then you’re going to love this bit. 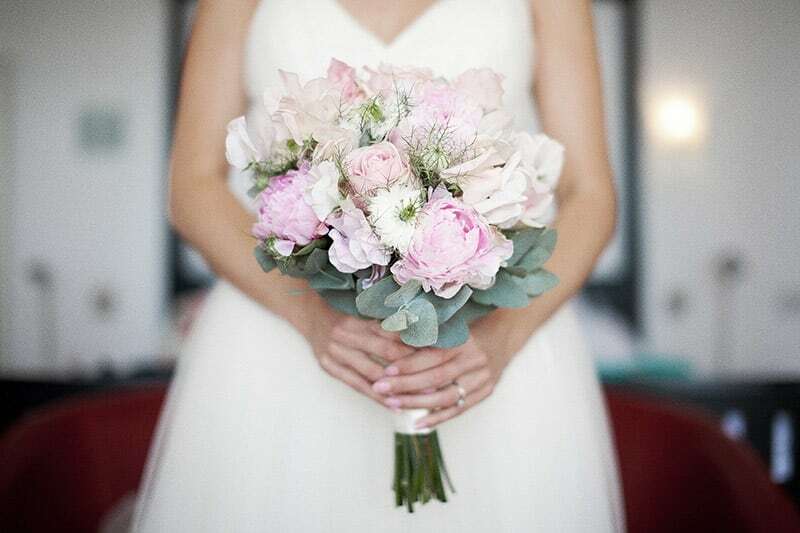 Choosing your wedding bouquet is one of the most exciting parts of wedding planning and we can’t wait to guide you through buckets of beautiful flowers in your quest to find the perfect bouquet. The first thing you need to decide is which flowers you would like to incorporate. There are a number of ways to make this easier; you can choose by colour to compliment your theme, by season to save some pennies, or by traditional meanings using the “language of flowers”. Once you have decided on your stunning blooms, it’s time to work out what shape you want. Sneaky tip: we strongly advise keeping your wedding dress at the forefront of your mind. You want your bouquet to compliment the cut and style of your dress. This does not mean that if you have a simple dress you can’t have a massive bouquet and vice versa. Just compliment the lines of your dress and the flowers will flatter your lovely silhouette further. This is a wonderfully round and usually small bouquet that can be easily held in one hand. There are two options for this arrangement; the loose, when the flower stems are simply tied together, or the structured, when the steams are removed and the flowers are placed in a frame, for a lighter and easier to carry bouquet. Normally accentuated with a gorgeous ribbon, especially for a loose arrangement, where the ribbon holds the flowers together. 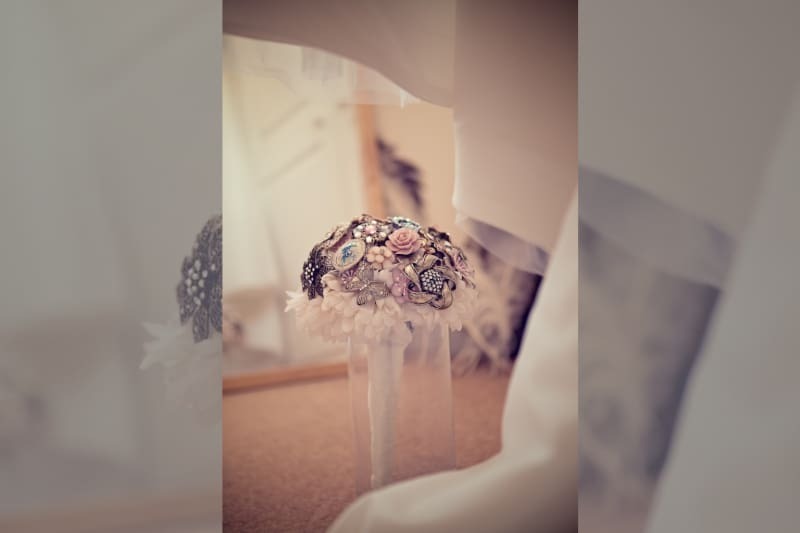 This stunning bouquet design originates from Switzerland and is a visually striking addition to the bride’s outfit. The flowers are formed in circles going out from the centre. Each circle has differently coloured flowers, or different flowers entirely. This is a gorgeous and more modern alternative to a traditional bouquet. 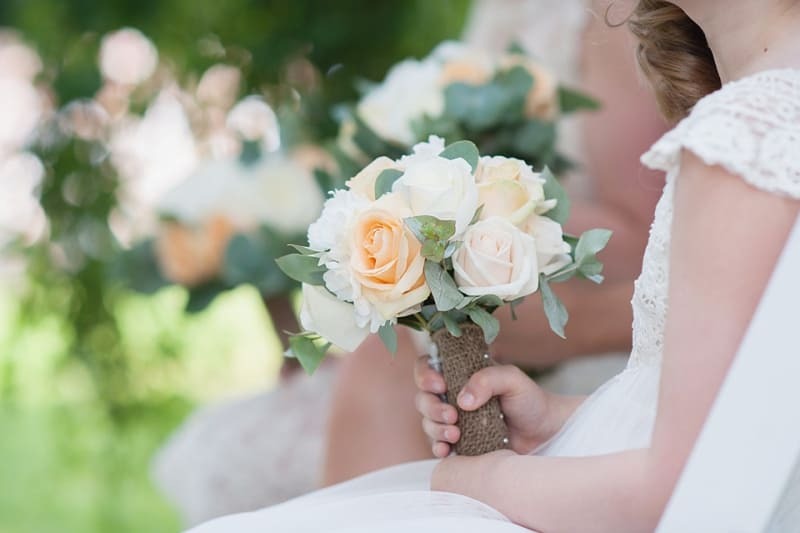 First inspired by the actress Sarah Bernhardt, this bouquet is designed to cradle in the bride’s arm and can be as simple or ornate as the bride chooses. This gorgeous bouquet requires a lot of craftsmanship and can be a costly accessory. Made out of separate petals and placed in a metal frame, this bouquet creates the look of a single and simply stunning flower. This is absolute perfection for the vintage bride (check out Chantelle and Marlon’s beautiful vintage wedding here). This unique and stunning bouquet is built around a real fan, topped with lovely flowers for an unforgettable effect. This is the most traditional and the most formal bouquet, which accessorised Princess Diana’s unforgettable wedding gown. It is designed to cascade from the bride’s arms for a beautiful and mesmerising effect. 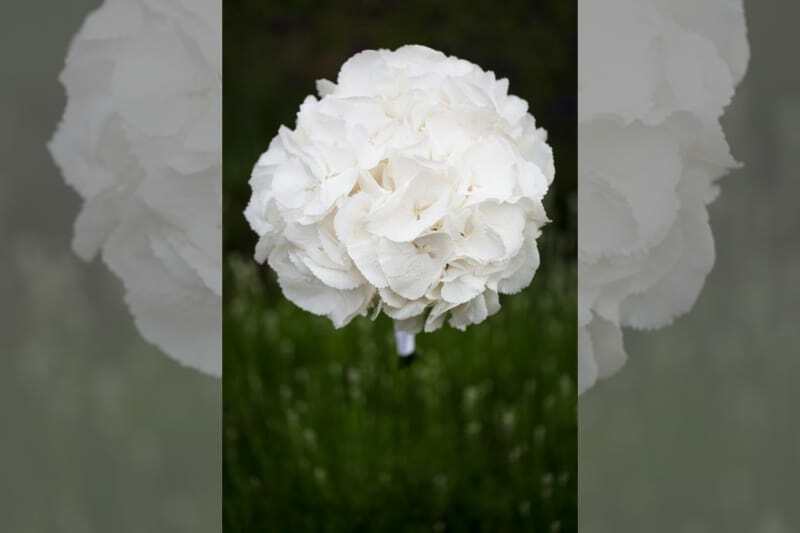 This adorably named bouquet is a gorgeous ball of flowers, suspended and carried by a ribbon. Though a popular choice for flower girls, adults can definitely accessorise with this lovely design. 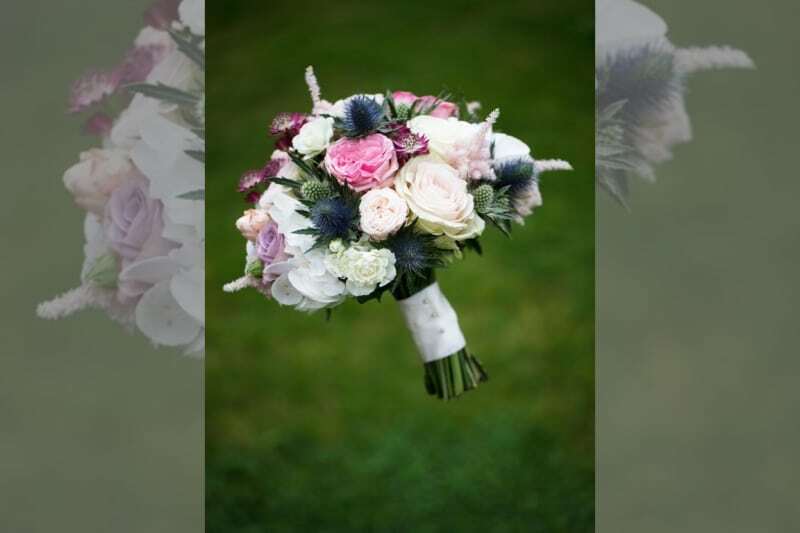 A classic style that goes back to Victorian times, this bouquet is round in shape and consists of tightly packed blooms, often wrapped in organza or a silk ribbon. This bouquet would be a charming addition to a rustic or outdoor wedding. 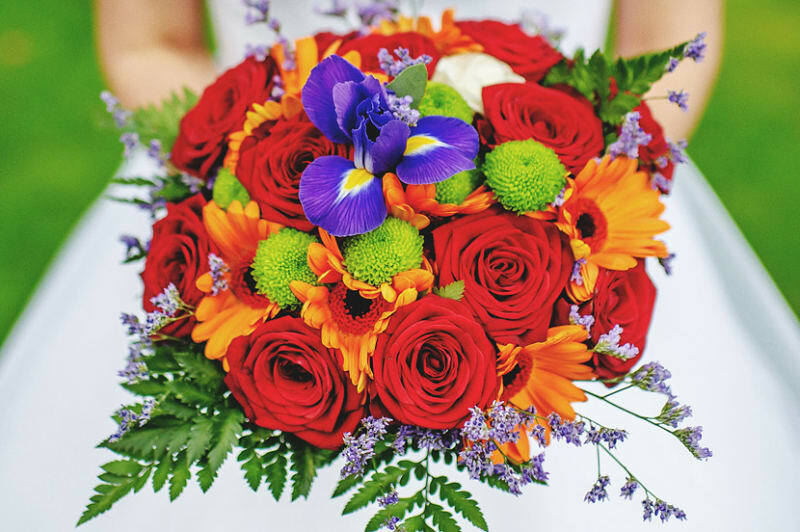 While mostly used by bridesmaids, a similar bouquet can be made for the bride with a larger selection of flowers or a differently coloured basket. This bouquet is probably the most dramatic and unusual. It takes the shape of a wand and consists of long stems, making it easy to carry down the aisle. Visually striking, it can be carried by any member of the bridal party and decorated with ribbons, tulle, organza or almost anything you can think of!